In the US it's customary for bridesmaids to buy their own dresses for the day - but could the idea make its way over here? For the bridesmaids and best men in particular, lots of little costs attributed to the day can add up. 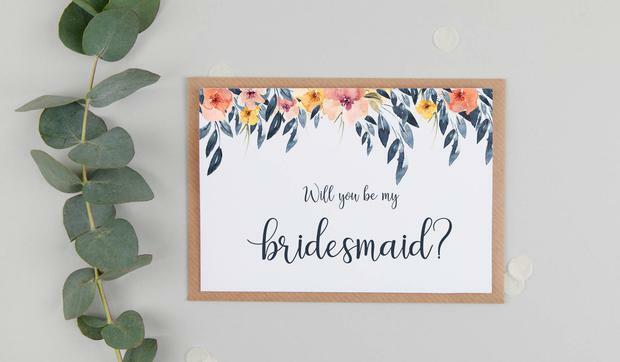 Indeed a survey which took place over the summer on THEVOW.ie revealed that between the hen party and the honeymoon, bridesmaids are digging deep for their best friends' big days. When all is counted for, the average bridesmaid in Ireland spends in the region of €500-€800 on their mate's wedding, from the moment the engagement is announced to when they've finally wave the happy couple off on honeymoon. At least the dress is paid for then, right? Well, don't hold your breath. In the US, it is customary for bridesmaids to pay for their own dresses for their pal's big day. The 'tradition', like so many, brings with it its positives and negatives. Positives for the couple who get to ask as many people as they'd like to be part of their bridal party, without the fear of bankruptcy, which hopefully then avoids potentially offending friends who didn't make the cut for purely financial reasons. Obvious negative? The same couples are asking friends to use their own money to buy an outfit THEY chose for THEIR wedding. And herein lies the problem. Which brings us neatly to one would-be bridesmaid who has - understandably - found herself with a possible 'friend-vs-finance' issue ahead of her pal's big day. 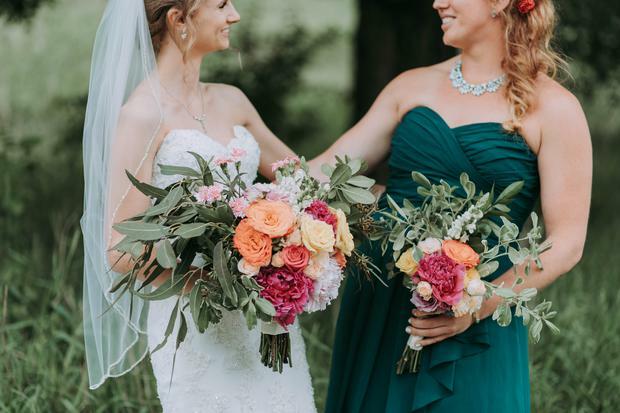 The woman, who says she is a single parent, has found herself in a predicament in that she simply can't afford to by the bridesmaid dress her friend chose for her wedding, but isn't quite sure how to say it without causing a fuss. Oh and we should add that the dress in question costs a cool €280 (£250). "I would never spend £250 on an item of clothing especially one that I will never wear again but what choice do I really have now?" she pleaded on Mumsnet. "All the other bridesmaids have responded that they have transferred [the money] I have no idea what to say!" Responses were almost unanimous in telling the bride that she should take her friend aside to simply explain that she would have to decline the bridesmaid role as she couldn't afford the dress and extras, and be done with the issue altogether. However one poster did point out something interesting. While most mainly UK-based users were in full agreement that, for UK and Irish weddings, it's the responsibility of the bride and groom to pay or their bridesmaids dresses, with wedding goalposts shifting so often as traditions get increasingly left behind in favour of alternative weddings, it's prudent for any potential bridal party member to confirm what will be expected of them before accepting any offers or invitations. "I think these days people need to think very carefully about accepting invitations to be bridesmaids," the user said, "or at least discuss with the bride exactly what she envisages the role being." Anyone who's been part of a wedding party - or even attended a wedding - knows that these happy occasions are a minefield of misunderstandings. Indeed with the stories of the everything-zillas that go viral on an almost weekly basis, perhaps it's time to start drawing up a contract before signing up as a castmate on 'The best day of our lives'. Only this week a story leaked that the publicly reserved Kate Middleton ended up in tears at a dress fitting for Meghan Markle's big day, while earlier this month an Irish woman revealed a ten year long grudge against her bridesmaid who got engaged, six weeks before her own big day - and two weeks before her hen party. From the bride 'sabotaging' her bridesmaids by making them wear pantsuits, to not returning the favour for a friend by being her best woman when it's time for her to walk down the aisle, to the endless stories of missed appointments and ill-timed announcements, weddings are fraught with faux pas and potential friendship-ending demands on both sides of the bridal party. Related: Karen Birney: If the 'royal sisterhood' can't avoid the perils of wedding planning - what hope does anyone else have? With more bridesmaids being given the opportunity to choose their own gowns for the wedding as the traditional uniformed party moves on to mix and match styles, some bridesmaids have already found themselves warming to the idea of paying for their own gúnas, and wearing something they really love (and crucially, will wear again, or can sell on without guilt). Indeed, is the whole idea of expecting people to wear matching dresses a little unusual anyway, when you think about it? For most couples, paying for their own day instead of depending on contributions from parents has meant they've taken the power back and only have themselves to answer to. 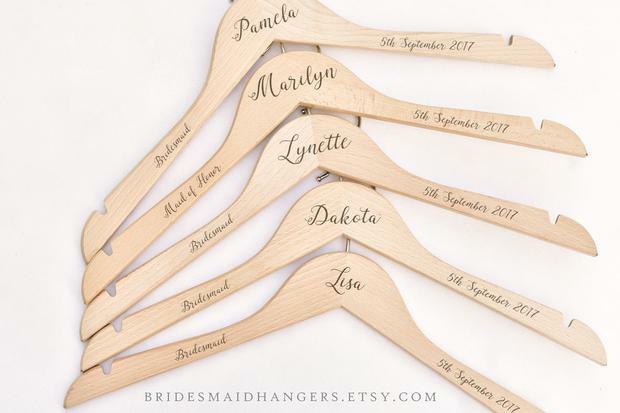 So could bridesmaids paying their own way mean less pressure on their part? Karen Birney: If the 'royal sisterhood' can't avoid the perils of wedding planning - what hope does anyone else have?